Want to learn about maturity-onset diabetes of the young (MODY), adjusting basal insulin when crossing time zones, writing a Section 504 Plan for your child, and more? 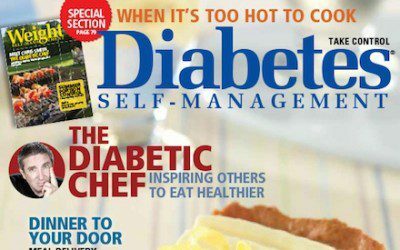 Then be sure to pick up the July/August issue of Diabetes Self-Management while supplies last at Barnes & Noble or your local grocery retailer, or to download it on your favorite device. And to receive our award-winning, expert information all year long for up to 50% off the newsstand price, subscribe today! Keeping track of how many steps they take each day and increasing this amount by just 1,000 can help improve heart health in children with Type 1 diabetes. Bookmark DiabetesSelfManagement.com and tune in tomorrow to learn more.